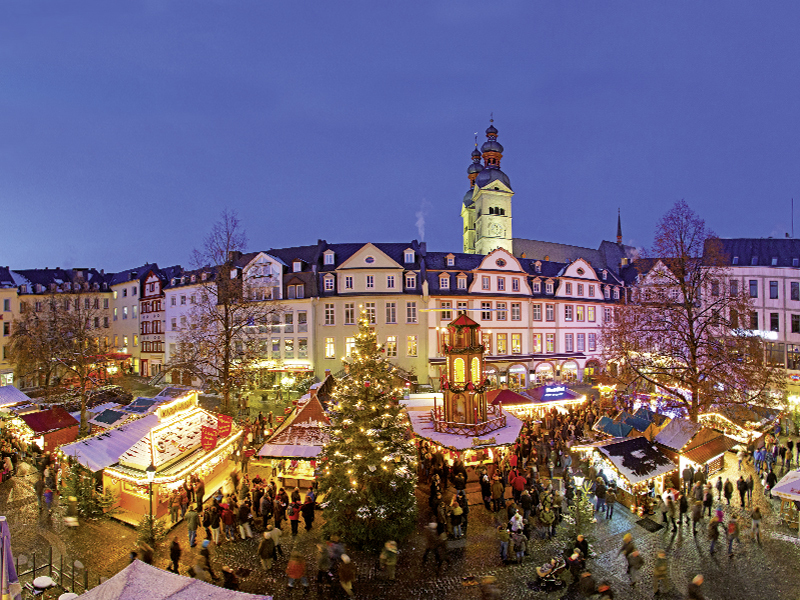 The “Am Plan” square was originally used as a marketplace, tournament site and event space. 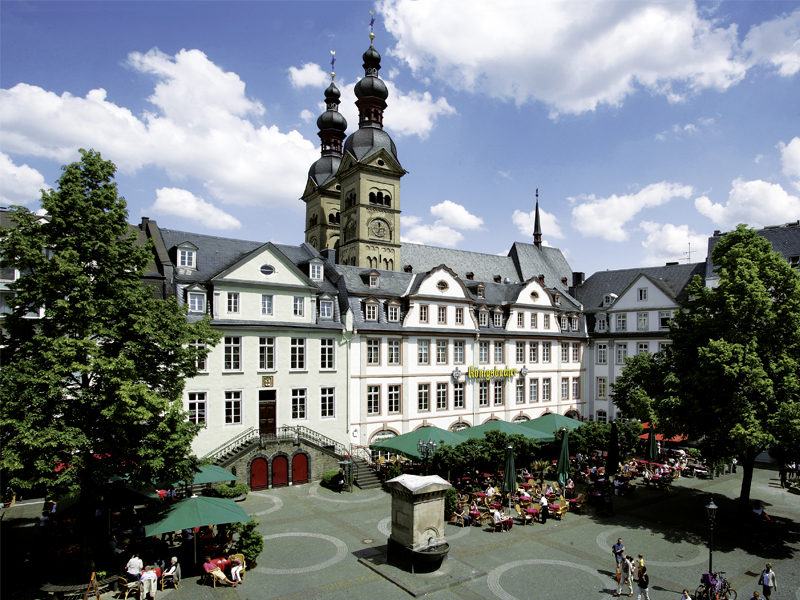 Originally built in the baroque style, the square was modernised by Elector Clemens Wenzeslaus von Sachsen, who also built Koblenz Castle. 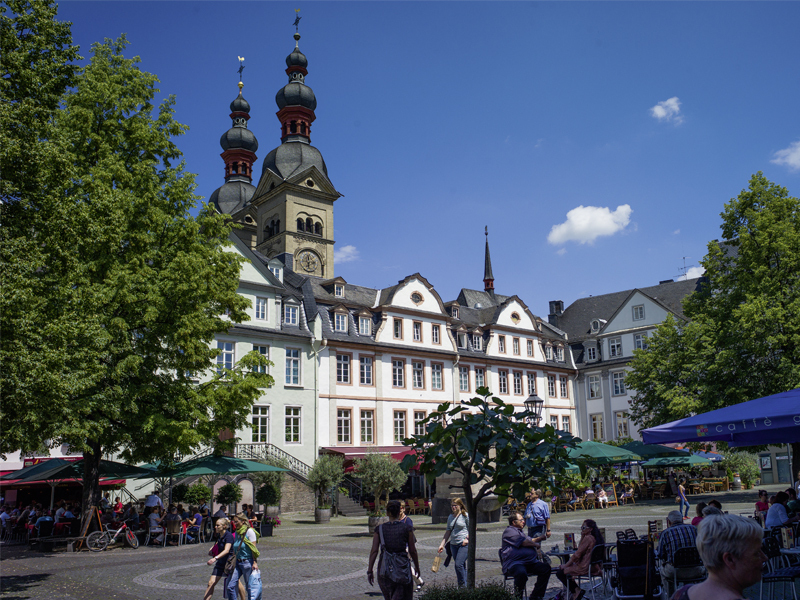 The square was named “Am Plan” because it was the first square on the Koblenz map (‘plan’) that was (evenly) paved. The southern side of the square was largely destroyed in the Second World War, so no historic buildings have been preserved there. The fountain in the middle of the square provided drinking water for Koblenz residents from 1806; this came from the Metternich aqueduct which was built for the Electoral Palace. Some baroque buildings from the 18th century have been preserved in the northern part of the square. The town commandant headquarters with the staircase was the official residence of the Electorate of Trier fortress commander. The building with the arches and the town commandant headquarters were used as a fire station from 1911 - 1973. The soprano Henriette Sontag was born in Koblenz in “Am Plan” in 1806 and sung children’s parts from the age of six and went on to sing around the world. Her musical skills took her all the way to the royal court and chamber where she was a singer. 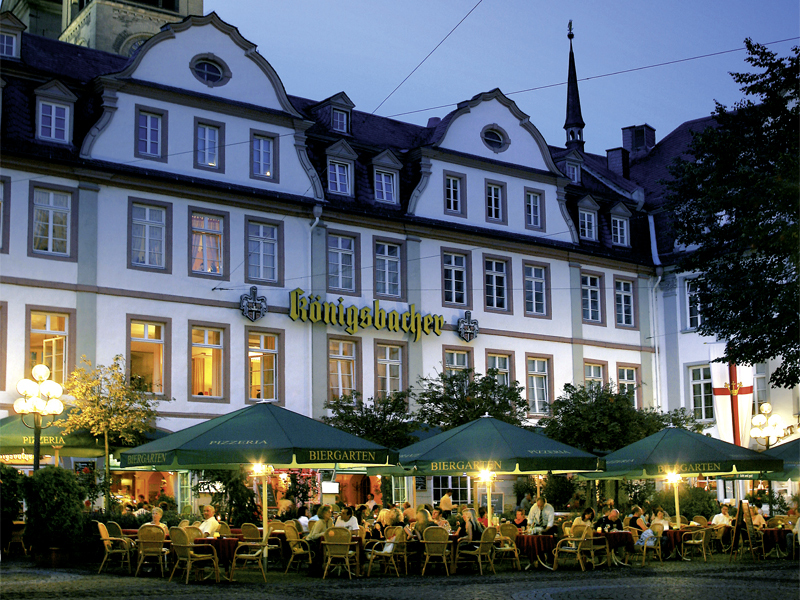 A marble plaque on the wall of her birth house commemorates the world-renowned daughter of Koblenz.